Why are the Galapagos Islands, a Natural World Heritage Site also known as the “Enchanted Islands”, a must-see for any nature lover? A bird that has lost the ability to fly. The flightless cormorant, also known as the Galapagos cormorant, is the largest of the world’s cormorants. With a population of fewer than 1,500 mature individuals, it is just one example of the highly unusual wildlife you will see in the Galapagos. Want to see an iguana swimming? Galapagos marine iguanas are the world’s only marine lizards, swimming and diving in heavy surf to forage for seaweed. You can also see land iguanas, a larger and more brightly colored species whose favourite food is cactus! No blue suede shoes here. 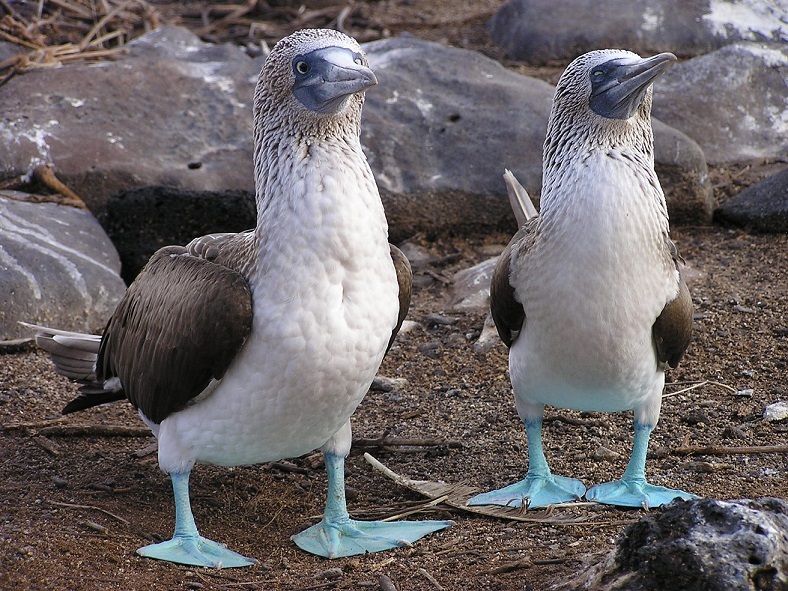 The blue-footed booby is a comical-looking seabird with oversized, electric-blue webbed feet! These improbable accessories seem to serve no other purpose than to visually accent an elaborate courtship dance. Namesake. ‘Galapago’ means ‘saddle’ in Spanish and refers to the shape of the carapace of the Galapagos giant tortoise found on the islands. These are the world’s largest living tortoises, with some males weighing upwards of 320 kg. The oldest known individual lived to the impressive age of 152 years!! Finch fun. Follow in the footsteps of Charles Darwin, and see the different species of finches which were instrumental in the development of his theory of evolution via the concept of adaptive radiation. Different finches evolved different beak shapes and sizes to exploit the food available to them on different islands of the Galapgos. Many of these wild and wonderful critters of the Galapagos Islands are found nowhere else on Earth. If you want to meet them, join seasoned Zoofari trip leader Trish Lund for a trip to Ecuador in May 2015. 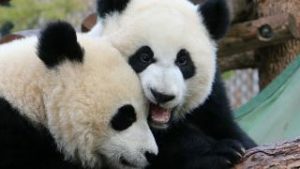 Learn about our Zoofari trips here, and learn more about how you can join Trish at www.civilizedadv.com. Written by Trish Lund. Photo by Barb Campbell.